Linear LED High Bay Light - Indoor - JK TOP-Industrial Co., Ltd.
JKTOP Linear LED High Bay Light is brilliantly designed as a one-for-one replacement to traditional T5 High Bays. It is available in 100W, 150W, 200W, 250W, 300W, 360W, 400W and 500W and equipped with both frosted and clear lenses for glare prevention and maximized brightness. This energy-efficient fixture features high performance optics which deliver a whiter, brighter light while using significantly less energy when compared to traditional high bay lighting. 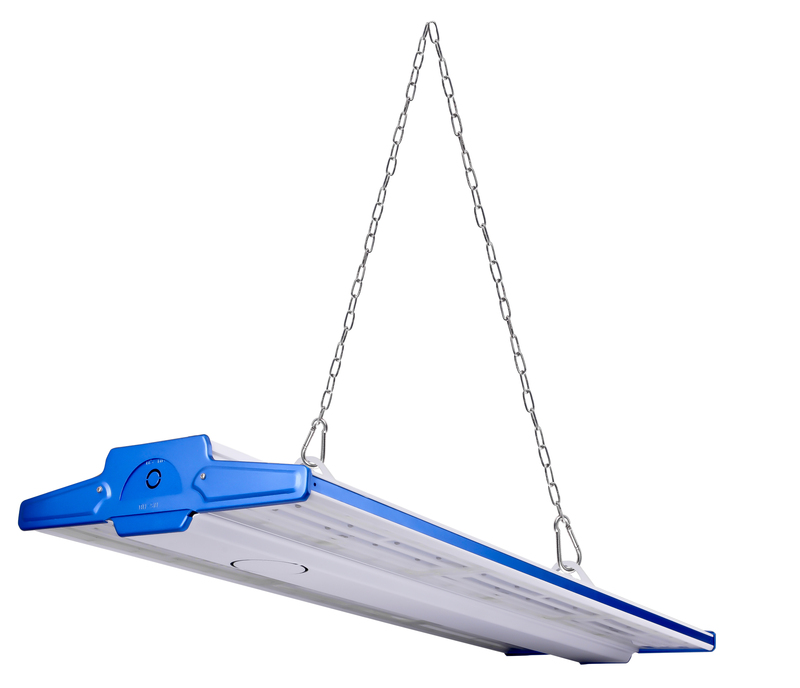 Packed with performance the JK-TOP Linear LED High Bay Light delivers excellent ambient lighting. The rugged fixture has a unique hinged and latched door frame (optional) and is designed for easy maintenance with driver access below the housing. Pendant, chain or surface mount are standard. Hub mounting option for direct replacement of HID and HQL high bays. Available in cool white, neutral white and warm white.